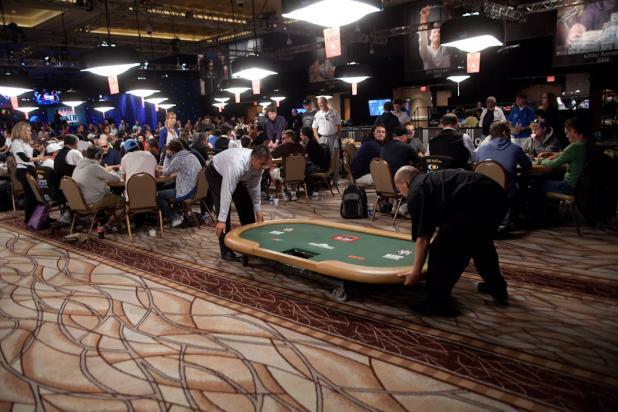 Since the Main Event is the final event of the 2010 WSOP, the tables are no longer needed as the field shrinks in the Amazon Room. To maximize the amount of space for fans, media, and staff, the tables are quickly broken down and cleared away. 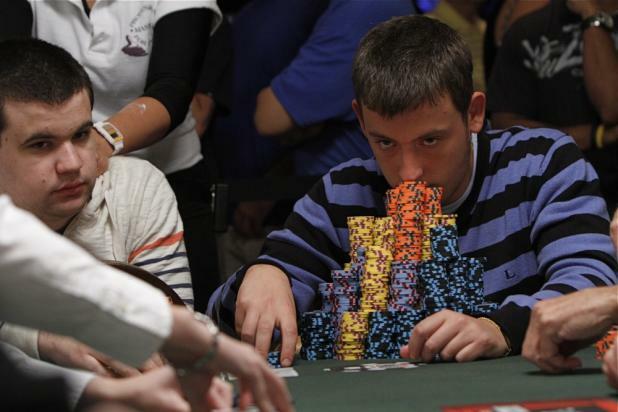 As the money bubble approaches on Day 4 of the WSOP Main Event, the stacks of the chip leaders were growing at a much faster rate than the blinds. 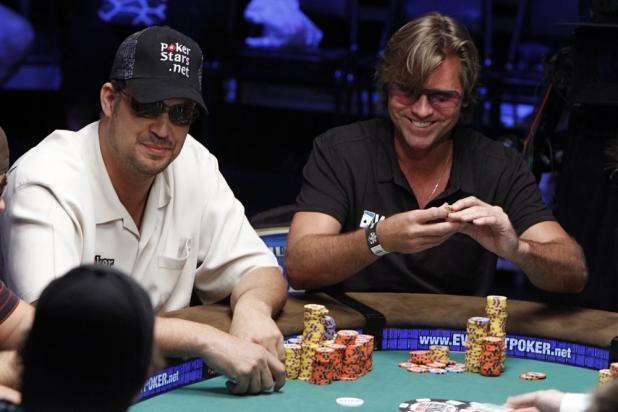 Gavin Smith (in seat 3) moves all in shortly before the money bubble on Day 4 of the WSOP Main Event. When nobody called the bet, Smith said, "That's respect!" 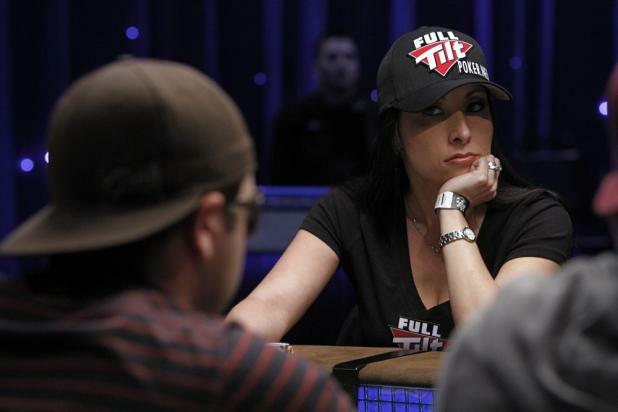 Smith shared the table with Chris Bjorin (seat 5) and Michael "The Grinder" Mizrachi (seat 6). All three players would eventually survive the money bubble. 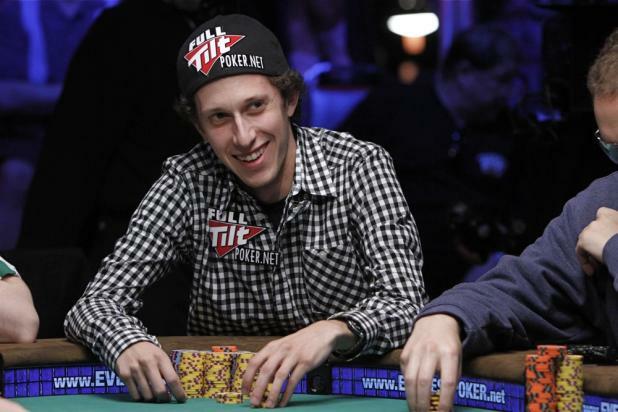 Andrew Brown was the fourth notable player at ESPN's featured table in the middle of Day 4 of the WSOP Main Event. Brown got his start in underground cash games in New York before discovering online poker, so he's not your typical young online player. (Brown is 28 years old.) Jean Robert Bellande, at the same table, wrote on Twitter that his "biggest challenge will be the very talented Andrew Brown." Unfortunately for Brown, he had a rough day, and lost his entire chip stack and busted shortly before the field reached the money. Both Jean Robert Bellande (left) and Vince Van Patten have made a name for themselves on television. Bellande was a memorable reality TV contestant on the hit show "Survivor," while Van Patten is best known as a commentator for the World Poker Tour. 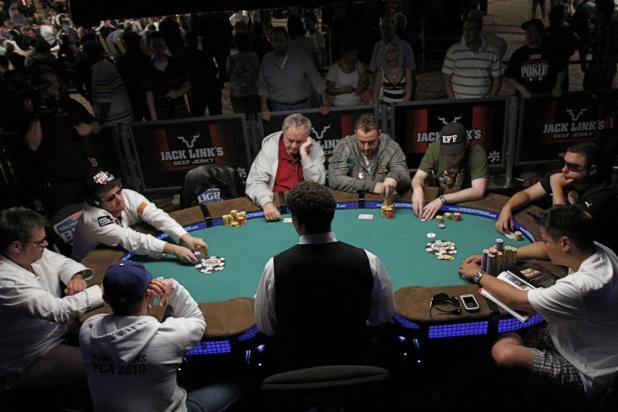 Both players are in good spirits as they are moved to ESPN's featured table as the field approaches the money bubble on Day 4 of the WSOP Main Event. 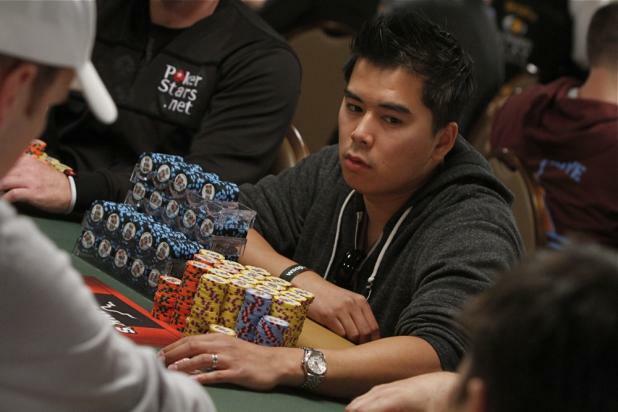 Duy Le is the first player with a confirmed chip stack worth more than 1 million. (When this photo was taken, he had about 1,050,000.) The racks of black chips next to him are in preparation for the color-up during the break; as table chipleader, Le bought up most of the small chips from the rest of the table to make the color-up process more efficient. 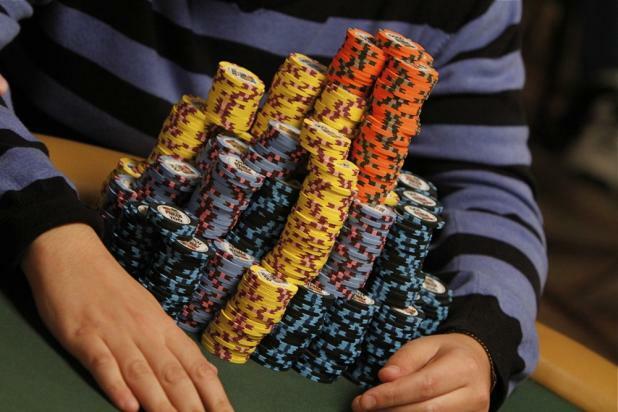 Even though it isn't a million in chips, Filippo Candio's stack is impressive. Orange chips are worth 5,000, yellow chips are worth 1,000, light blue chips are worth 500, and black chips are worth 100. The unseen stacks on the second tier are yellow, while the unseen stacks in the bottom row are unknown -- presumably 500s or 100s. Christian Harder (left) sits next to presumed chipleader Filippo Candio in the middle levels of Day 4 of the WSOP Main Event. 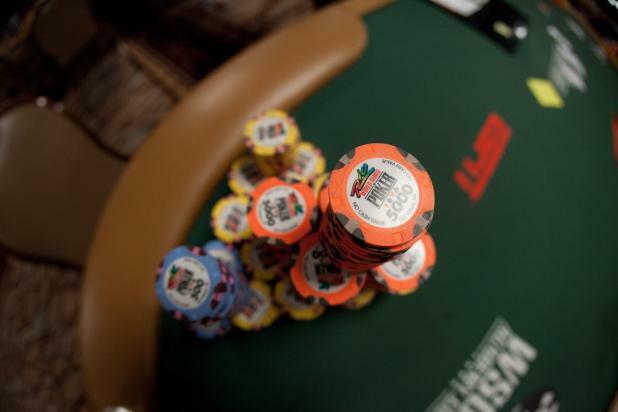 Candio's chip stack was originally estimated at one million in chips, but three reporters from three different media outlets (including yours truly) compared notes and photographs and came up with an estimate of 850,000 in chips. It didn't take long for Candio to bluff off more than 100,000 in a pot against Sammy Farha, and within an hour Candio had slipped out of the Top 10 on the leaderboard. And then there was one -- the last table in the Pavilion Room is Table #1. Bluff Magazine co-founder Eric Morris (bottom right, seat 8) quipped that they had all made the final table, but in the wrong room. 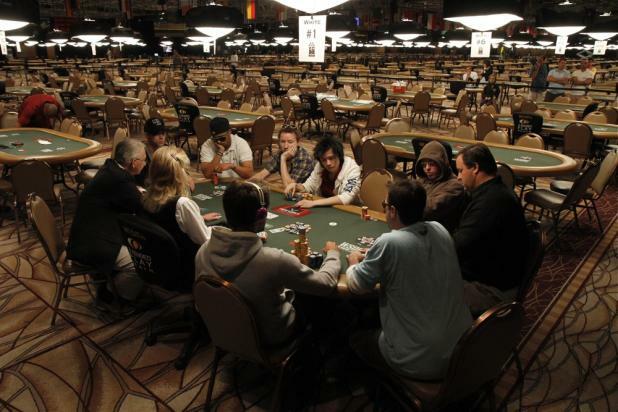 An hour and a half after play began on Day 4, this table was moved to the Amazon Room, and the Pavilion Room was no longer needed for the 2010 World Series of Poker.